Lahore University of Management Sciences with its state-of-the-art facilities, liberal outlook, excellent study culture and illustrious faculty from around the globe has given a new meaning and direction to business studies and economic workforce in Pakistan. Naveen S Garewal recently visited the prestigious institute which is comparable to the best in the world. FAIR DEAL: Thirtyfive per cent of the 2,300 students in LUMS, a non-profit institution, are women. A silent revolution is taking place in Pakistan, empowering the nation’s economic workforce. Started in Lahore as an experiment to train manpower for the increasingly uncertain business environment in 1986, the Lahore University of Management Sciences (LUMS) has catapulted Pakistani entrepreneurs and business graduates into an orbit where they now easily rub shoulders with Yale and Harvard business graduates. This business school is now preferred over international business schools by Pakistani youth. “It is a dream come true if one can secure an MBA seat at LUMS. Management and finance are the two most sought after career streams in Pakistan now. LUMS, being undoubtedly the best business institution in the country, is the number one choice of every youth, especially women students, since most Pakistani families do not encourage women to study abroad,” says a top Pakistani army officer, whose two sons preferred LUMS to the army. Dr Syed Zahoor Hassan, Vice-Chancellor, LUMS. The brainchild of leading Pakistani industrialist Syed Babar Ali, LUMS is one of Pakistan’s first private universities which started with help of sponsors from leading private and public sector corporations. Says SBA, as he is known on the campus, where he is also the Pro-Chancellor: “The goal of the sponsors was to develop an institution which would provide rigorous case-based training and a viable alternative to international business schools.” Actively involved in the activities of LUMS, SBA often delivers a lecture or two to participating executives from leading multinational corporations in the country. The fact that LUMS promotes independent thinking and creative reasoning is evident from the activities on the campus. Students were not afraid of starting a campaign against the military dictatorship in Pakistan and the suspension of Supreme Court Chief Justice Iftikhar Chaudhry by President Parvez Musharraf. The campaign aims to encourage the youth to play a role in generating opinion on important political and social issues. The campaign started with students and faculty signing a petition against the CJ’s suspension. 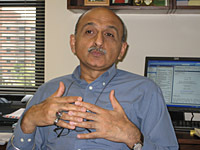 Dr Anjum Nasim, Dean School of Humanities and Social Sciences. LUMS symbolises the coexistence of modern with the traditional in Pakistan. It is a fine example of evolution of academics from madrasas to contemporary western education that encourages liberal thought. Earlier this month LUMS organised the first All-Pakistan Olympiad, providing a platform to more than 400 students, including women, who participated in activities like debates, music, film-making, photography, arts, dramatics, quizzes and computer-gaming. The reputation of LUMS is not limited to Pakistan. It has gained recognition as a business school of repute by top business institutes of the world. 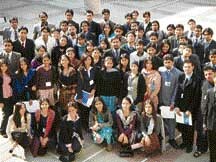 LUMS offers student exchange programmes with many well-respected institutions like the Indian School of Business, Hyderabad; Management Development Institute, Gurgaon; Copenhagen School of Business, Denmark; F H Joanneum University of Applied Sciences, Austria and Waseda University, Tokyo, besides many others. 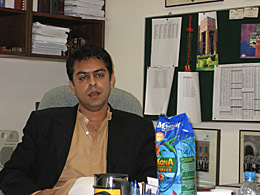 Osama Siddique, Head Dept of Law & Policy at LUMS. Dr Syed Zahoor Hassan, Vice-Chancellor, LUMS, says the university is today accepted as one of the best institutions of higher learning in South Asia because “our vision is to be a pre-eminent academic institution, serving as a catalyst for economic prosperity and social development with a focus on management of resources. We strive to achieve this vision through our teaching and research activities that are nationally and regionally relevant, and meet the highest international standards”. LUMS is rated as the best in Pakistan for management studies and is now preferred over Institute of Business Administration (IBA), Karachi, the oldest business school in the world outside North America which was established in 1955 by the Wharton School of the University of Pennsylvania. Apart from management, LUMS also has a School of Humanities and Social Sciences, which includes a Law and Policy department. A School of Science and Engineering will commence its classes in September 2008. LUMS building: As modern in architecture as its students are in their thinking. This university evolved at a time when General Zia-ul-Haq was trying to Islamise Pakistan, this institution provided an atmosphere where women could co-exist with others without the onslaught of fanatics. It was common to find women on the campus in all kinds of dresses: from hijab (covered from head to toe with only the eyes exposed) to T-shirts and jeans. Since the place followed the basic rules of decorum, parents found it safe to send their daughters here. This centre of higher learning started in 1986 with 40 students in its two-year MBA programme and by 1994 it began undergraduate courses too. Many educational institutions in Pakistan are now trying to ape the LUMS model. Today LUMS students are its pride. Its alumni includes people like Shahid Mustafa, who launched Tameer Bank; Sadiq Yousaf Almaz, the brain behind Burraq Telecom; Faisal Farid, General Manager (West Asia) Pepsi Cola International (Pvt) Ltd; Naureen and Saadia Bukhari, who launched The Saturday Post, a magazine that showcases contemporary Pakistan. Saulat Salahuddin, one of the first few women graduates, runs her business PRONTO that supplies corporate gifts. Companies like Lumen Software have LUMS graduates behind their success. The list is long and, therefore, it is not surprising to find LUMS alumni chapters in North America, UK, Dubai, Karachi, etc. At least 10 percent of the students on campus today are foreign nationals from South Asia and South-East Asian countries, including China. Most students are appreciative of the atmosphere on the campus.“Inside and outside the campus are two different worlds, both complementing each other and helping the other to move ahead. There is no conflict as the world outside realises that LUMS has made a tremendous difference to life and business in the country,” declares a Pakistani student. Several Indian nationals have participated in the executive development courses at LUMS and the university would welcome the participation of Indian nationals as fulltime students as well. As Azamat Akbarov, a foreign student pursuing an MBA at LUMS, puts it: “LUMS prepares you for the most challenging jobs of the corporate world. Its competitive nature of case method with daily pressure adds enormous value to the students. Furthermore, the faculty members are brilliant”. A non-profit institution, LUMS runs on a budget of around Pakistani Rs 70 crore, where most grants are received from the corporate world. Rated as the number one business institution by the Higher Education Commission of Pakistan, parents of boys are only too happy to have their wards get into LUMS. Parents of girls too have no objection to their daughters studying here because they are sure about the safe atmosphere on campus, besides an assured financial future. 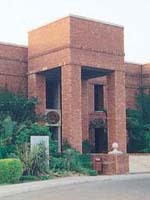 LUMS today has two schools: the Suleman Dawood School of Business and the School of Humanities and Social Sciences, which is producing experts in business administration, computer science, economics, social sciences, mathematics and other disciplines. About 35 percent of the 2300 students on campus are women. Spread over 100 acres of beautiful landscape, this university with world-class facilities has attracted a large number of highly trained staff. Many of the faculty members on the campus are from Stanford, Harvard, Imperial College, Yale, Oxford, Cambridge, London School of Economics, MIT and Warton. LUMS has already established collaborative links with top law schools of the world. In India his department is currently developing links for exchange and research with the National Law School of India University, Bangalore, National Academy of Legal Studies and Research, Hyderabad and National Law Institute University, Bhopal. Student exchanges between law schools across the world are encouraged. According to Osama Siddique, head of the Law faculty at LUMS, an attempt is being made to arrange judicial clerkships with Supreme Court of India judges for students of LUMS on the pattern proposed by the Indian Supreme Court for Indian law students. The objective of the law faculty is to develop legal academia and concentrate on legal research, besides undertaking cross-national legal studies. For harnessing the potential of human resources in Pakistan, LUMS is experimenting with a broader access across Pakistan through its “National Outreach Programme” that was launched in 2001. This programme aims at providing opportunity to bright and talented students in smaller cities and villages. Working with school boards 200 top students are identified from backward areas. Once passed school, these students are encouraged to apply for LUMS Bachelor programmes. Grit and determination are perhaps the two words that best describe the mantra that has enabled this Pakistani capitalist to emerge as an institution by himself. Born in an elite Pakistani business family, Syed Babar Ali is today a household name in the country. He is associated with several spheres of life, including economy, education, social work and religious institutions. Revered and respected, Syed Babar Ali was the brain behind establishing the Lahore Business School (know known as LUMS). Passionate to the core, even at 80, he can compete with a 25-year-old in terms of stamina and fitness. Typically, his day includes over half a dozen activities that include meeting several foreign delegates, delivering lectures at LUMS, advising the Pakistani Government on economic affairs, and not to mention overseeing work at his several businesses. “Build your human resources and they will see you through every challenge in life” is how Ali puts his wisdom in words. LUMS was a natural consequence of his philosophy to deal with the uncertain business environment in Pakistan. In 1973, Ali signed up with the Government of Pakistan to run the National Fertiliser Corporation of Pakistan – the largest and most successful of Pakistan’s national enterprise. Head of Pakistani’s 22 leading families, Ali expanded his family business, initially started by his great grandfather Wazir Ali, who was a major supplier to the British Army in 1875. He diversified into textile mills, vegetable oil processing and soap factory. His pulp paper and packaging factory known as Packages Ltd is perhaps his biggest material success. 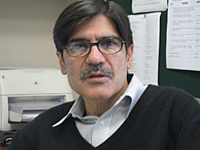 Ali’s interests have not been limited to the Lahore University of Management Sciences (LUMS) or his industrial empire. Besides being on the directorial boards of many multinationals, he is on the Nanakana Sahib board. He also served as Pakistan’s Consul General in Sweden and as Minister of Finance, Economic Affairs and Planning, in the 1993 interim government. From 1976-81 he was Expert Adviser to the UN Commission for the Code of Conduct for Transnationals. Incidentally, Ali went to school at Aitchison College (School), Lahore, where his best friend was former Punjab Chief Minister Harcharan Singh Brar. The two meet at least once a year. Ali also keeps in touch with other schoolmates like Justice S.S Sodhi, who is also on the Board of Governors of Aitchison College. Besides LUMS, where he is Pro-Chancellor (Chancellor being Gen Pervez Musharraf), Ali has also set up the Ali Institute of Education (AIE) – an innovative teacher training institute – and a calligraphy institute for children. Credit also goes to him for establishing the Babar Ali Foundation, which supports educational and social activities. — N.S.G.